Travelling To Antalya Turkey? This Muslim-Friendly Travel Guide Is For You! Istanbul and Ankara are two cities in Turkey that are famous amongst tourists from all over the world. But, there is one beautiful destination in Turkey that has started to gain the interests and attention of avid travellers, that is Antalya! 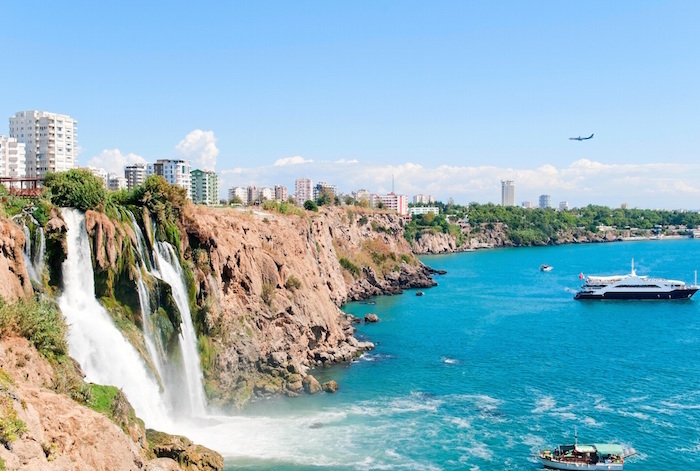 In this Muslim friendly travel guide to Antalya Turkey, we will share with you some interesting facts about this destination, what places to visit, where to get Halal food and the best Muslim friendly hotels to book. The Muslim friendly travel guide to Antalya Turkey – Handy tips and recommendations! Hopefully, by reading this Muslim friendly travel guide to Antalya Turkey, you will get all the information that you need and put you in a peaceful state of mind – we’ve got you covered! But, before we get in-depth into the guide, let’s learn a thing or two about Antalya. If you have never heard of Antalya before, no worries. We are here to fill you in about this beautiful destination in Turkey. Antalya is quite a populous place. It is the fifth most populated city with over 1 million people that call this place home. It is situated on the southwest part of Turkey and is considered as the biggest city on the Mediterranean. It is a tourism city that had attracted over 12.5 million tourists back in 2014! So, what makes Antalya so interesting to Muslim travellers like you? Perhaps, the following lists of interesting facts about Antalya Turkey will make you want to include it in your travel bucket list! Antalya is ideal for you if you love to travel and learn about history. It is a historic city where you can visit many ancient ruins that mostly come from the Roman, Byzantine, and Seljuk empire. It is a beautiful beach city that offers gorgeous coastlines, deep blue ocean water, sandy white beaches, and Muslim friendly resorts and villa for you and your family. Besides being rich with history and provides the ideal beach destination for Muslim travellers, Antalya is also great for you if you love to shop! Here, you can find many shopping malls that offer world-class or local brands – Cumhuriyet Square is the place to be if you are a shopping lover! 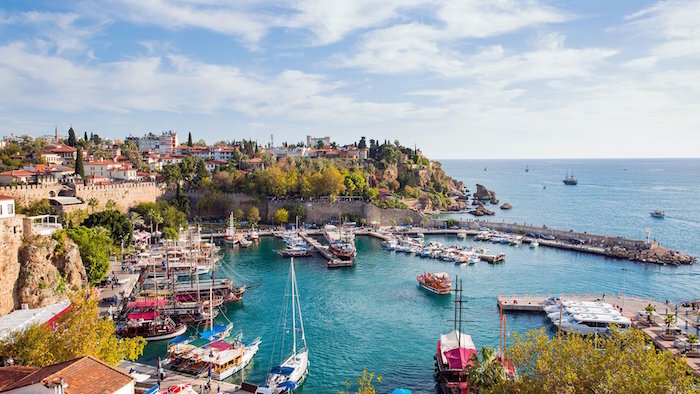 Here are another interesting facts about Antalya – this resort city offers you a chance to walk in an old Mediterranean town and get lost in its small cobbled street. 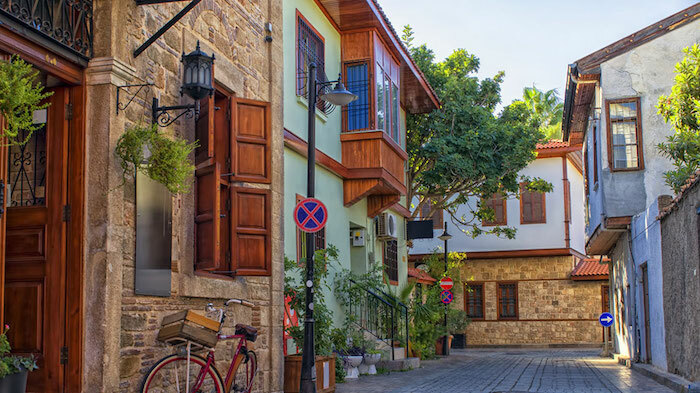 Experience a tranquil and slow life while exploring the beautiful old town called Kaleiçi. The place packs many art galleries, quaint cafes, souvenirs shops, and Halal restaurants for you to explore and dine in. 5. Antalya is very Muslim-friendly! Since this beautiful city is located in a Muslim country, Antalya is very Muslim-friendly. Finding Halal food is not an issue here. Plus, a majority of the hotels can cater to the needs of Muslim travellers like you. They mainly serve Halal food in their restaurants and provide prayer mats in the hotel rooms. Plus, there are also gender-segregated pools. 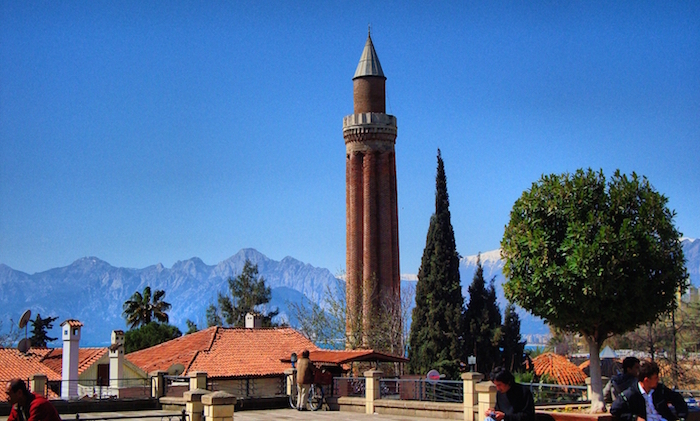 Here in Antalya, you can also find many mosques to visit and pray in. Muslim friendly travel guide to Antalya Turkey – Getting there! 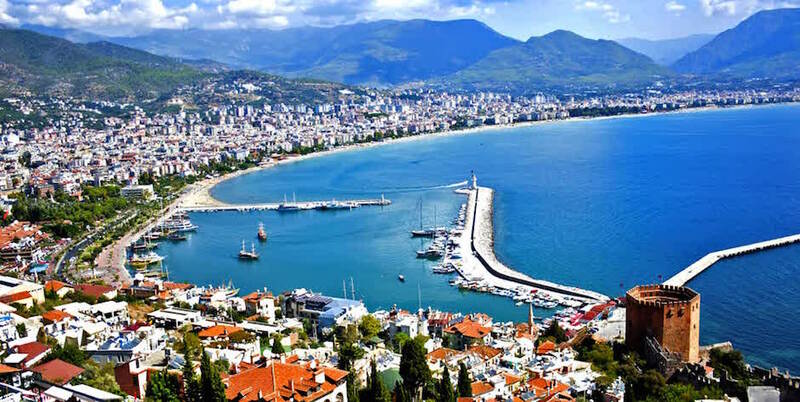 In this Muslim friendly travel guide to Antalya Turkey, we will show some of the ways for you to get to Antalya Turkey – either from overseas, Istanbul or Ankara. The best places to get to Antalya from overseas are from several countries in Europe such as Germany, Amsterdam, and Belgium. 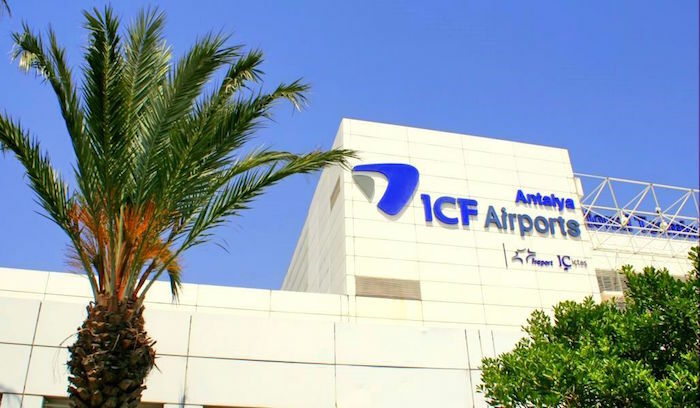 You can get the cheapest flights to Antalya International Airport (AYT) from these three places. You can also opt to land in Istanbul or Ankara and take a domestic flight to Antalya. The Onur Airlines, which is a Turkish airline, connects Antalya to many other big cities in Turkey. You can also choose to take a bus from Istanbul or Ankara to Antalya. But you need to consider this option carefully as it is going to be a long ride; about 720km and 480km from Istanbul and Ankara respectively. The journey usually takes about 6 to 7 hours. We recommend this method if you would like to take a road trip in Turkey and stop by at other interesting cities along the way. (Use this cool Distance Calculator to plan your road trip!). So, where can you stay while having a vacation here? In this Muslim friendly travel guide to Antalya Turkey, we will share with you some of the best options. You can pick one of the following Muslim friendly hotels in Antalya Turkey as your accommodation. This five-star hotel overlooks the Mediterranean Sea. It provides halal breakfast, and you can also request the hotel to remove the alcohol beverages from your room. However, there is no ladies-only pool or spa here. Click here to the best online prices! Selge Beach Resort & Spa is another best Muslim friendly hotel in Antalya that you can choose. The hotel is very halal as it serves no alcohol on its property and serves halal food in its restaurants. Also, the swimming pool, spa, and beach are friendly towards Muslim women. It is an Islamic hotel in Antalya that aims of providing a memorable holiday experience to Muslim families. They serve 100% halal food, and the pools are separated for men and women. When you are having a holiday in this beautiful city, you should try your best to visit the following attractions. 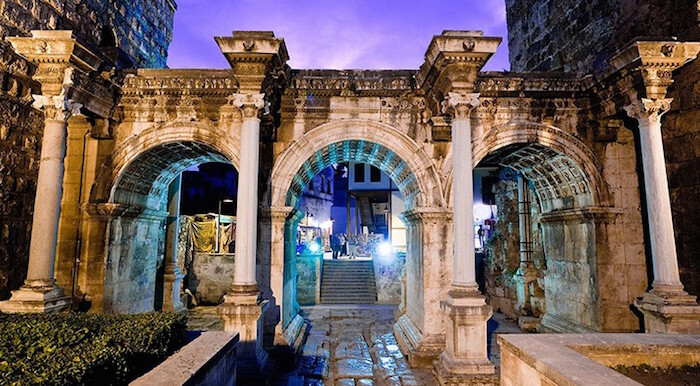 This three-arched marble gate is a perfect place to visit if you love history. It marks the arrival of Emperor Hadrian back in the 130CE. Besides incredible history, it also boasts beautiful architecture and intricate sculptures. The minaret of Yivli Minare Mosque has become the symbol or landmark of the city. It is located in the old town area. The beautiful mosque is also known as the Aladdin Mosque. Here, you can study and be amazed by Seljuk architecture. 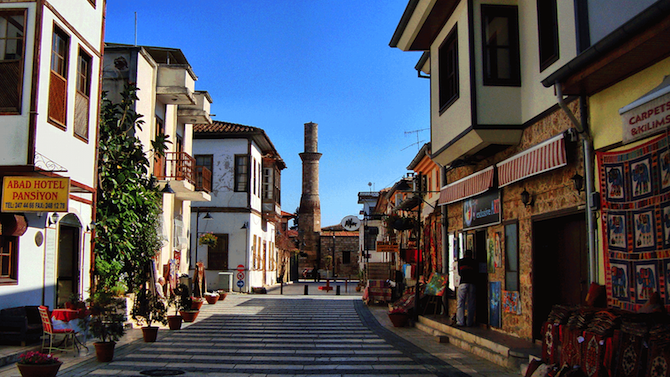 The town of Kaleiçi offers you a beautiful sight of Ottoman and Roman architecture. You can enter this town from Hadrian’s Gate and start navigating the small streets as well as visiting quirky halal restaurants, small cafes, art galleries and gift shops. 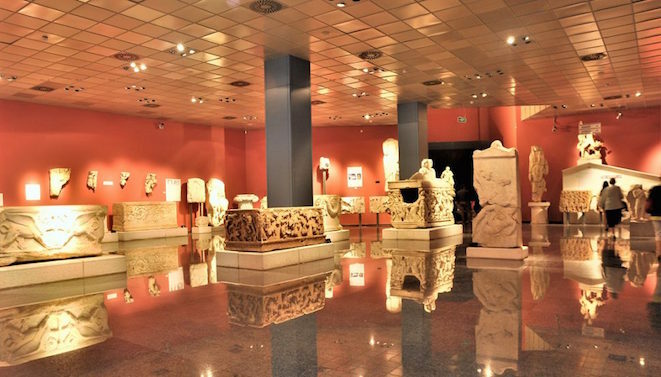 Learn the history of Antalya by visiting the museum. You’ll be captivated by the impressive artifacts found in this museum (it’s one of the best museums in Turkey!). Just keep note that it opens every day except Monday. If you are a nature lover, you should not miss visiting Düden Waterfalls! There are two parts of the waterfall. The upper one is as high as 15 meters and it is actually located a little bit out of Antalya (about 15km away). Here you can have a picnic! The lower Düden, on the other hand, is better viewed from the ocean on a ship. There are many beaches in Antalya that you can visit. But the main beaches are Konyaaltı and Lara. The beach stretches forever and there are many restaurants nearby for you to enjoy Halal food while looking at the beautiful blue ocean. There are also some water sports for you to try! When you are in Turkey, you should not miss eating delicious Turkish food. 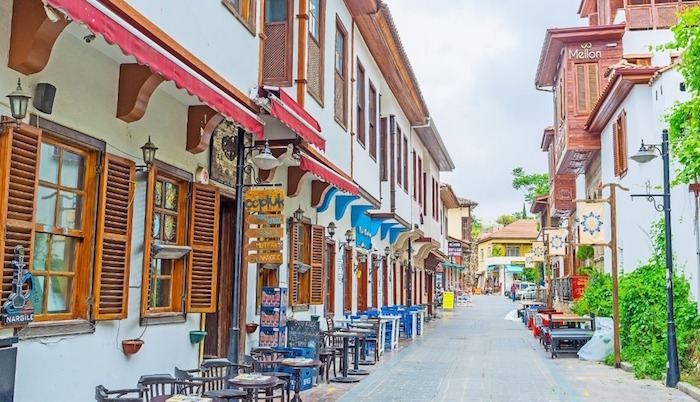 In this Muslim friendly travel guide to Antalya Turkey, we will share with you some of the best Halal restaurants for you to dine in. It is one of the famous restaurants in Antalya that serves delicious halal Turkish food. The restaurant offers you not only great food but also a great view of the mountain. 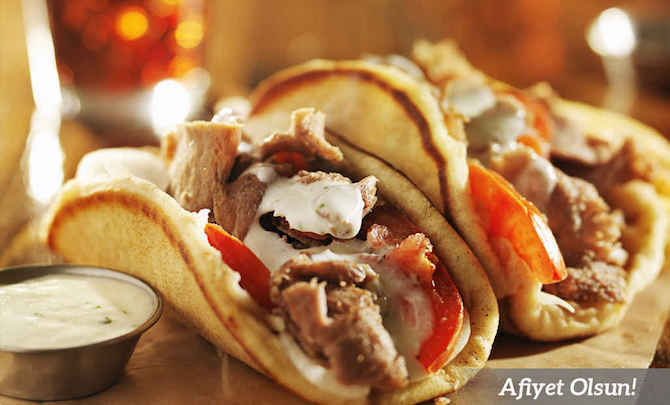 Some of its must-try dishes are lamb kebab and pirzolla! Here is another excellent halal restaurant option. 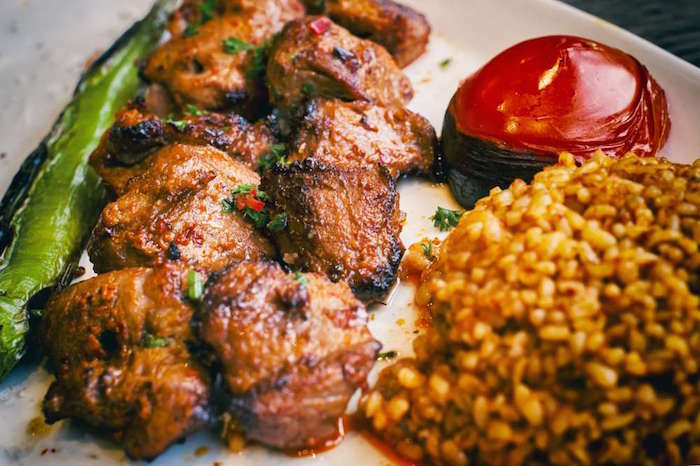 Can Can serves nothing but scrumptious and authentic Turkish food! 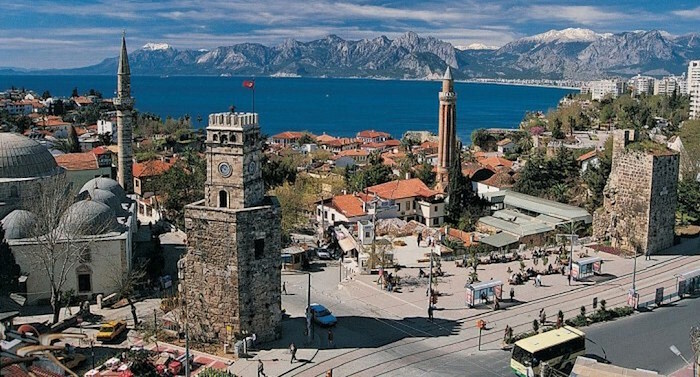 Many locals recommend it, so that makes it one of the must-try halal restaurants in Antalya Turkey. The dishes that you should try are Pide and Kofte. We also recommend you to try 7 Mehmet restaurant. It is located quite away from the city centre. But, the ambiance and food quality will make the trip worth it. The halal restaurant serves delicious soups, seafood, and meat meals. The menu that you should try? Mezzes! Why should you travel to Antalya, Turkey? As you can see in this Muslim friendly travel guide to Antalya Turkey, you should consider Antalya as your next holiday destination; either travelling alone as a Muslim backpacker or together with your family or friends. The city offers beautiful Mediterranean weather with over 300 sunny days and mild, rainy winter. You’ll love soaking up the sun and escaping the cold in your home country! 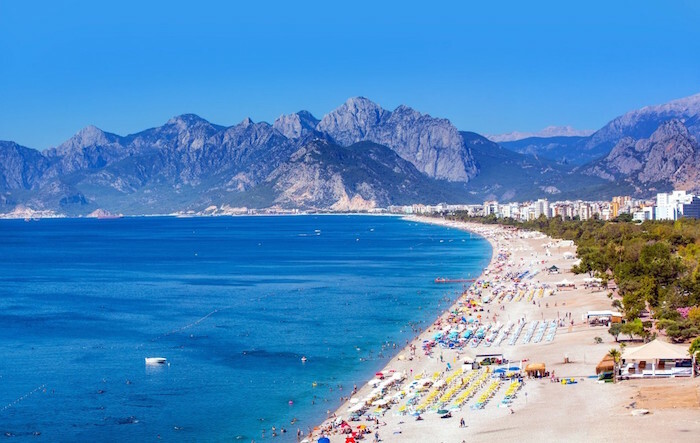 Compared to Ankara and Istanbul, Antalya is a cheaper destination and ideal for Muslim backpackers or travellers on a tight budget. There are many activities that you can do in this city – strolling the old town, soaking sun at the beach, hiking, hunting for waterfalls, Halal dining, visiting mosques and historical ruins. There are many beautiful places for you to visit and enjoy with your family – Düden Waterfalls, Hadrian’s Gate, Antalya Museum, and Tekeli Mehmet Paşa Mosque. If you are a foodie, you’ll enjoy discovering and tasting delicious local foods at one of the many Halal restaurants here in Antalya Turkey. So, why wait? Let’s start your travel plan and include Antalya into your list. You will love this beautiful city!